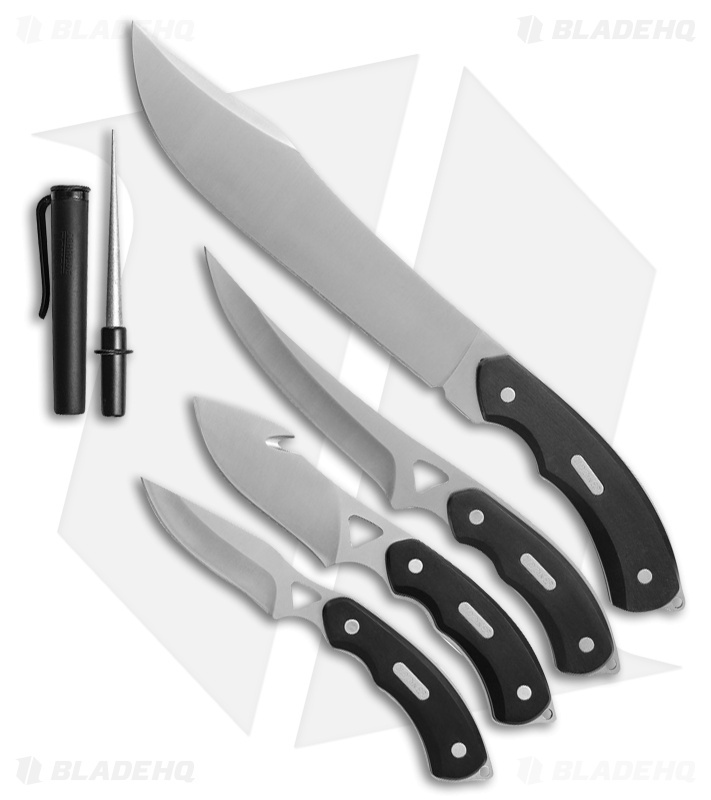 Overall Length (Gut Hook Knife):8.00"
Overall Length (Drop Point Knife):7.625"
Blade Length (Gut Hook Knife):4.00"
Blade Length (Drop Point Knife):3.625"
Handle Length (Gut Hook Knife):4.00"
Handle Length (Drop Point Knife):4.00"
Get the seven piece hunting knives combo for one low price with the Hunting Kit from Schrade Old Timer. These durable outdoor fixed blades come equipped with 3Cr13 stainless steel blades and black synthetic handles for secure use. 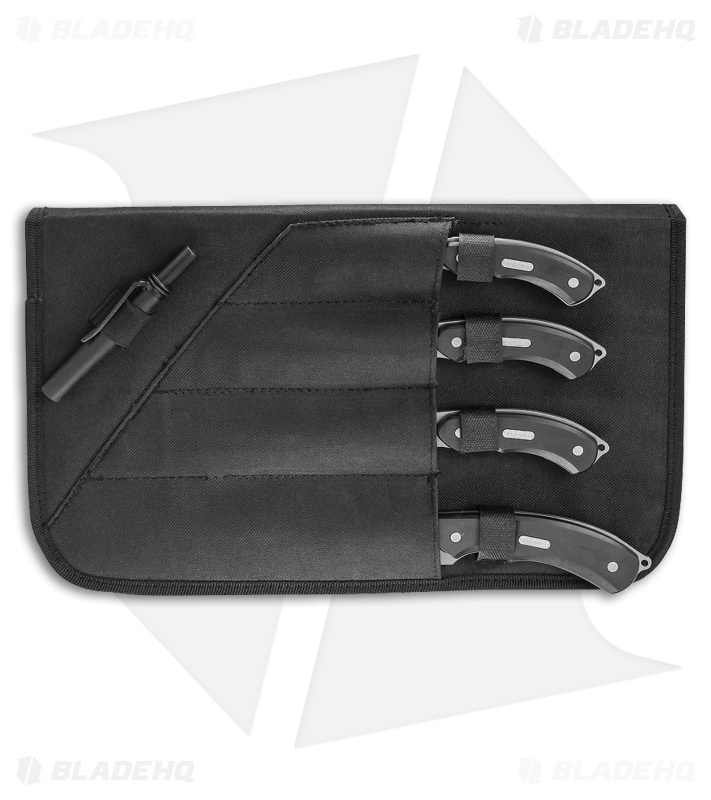 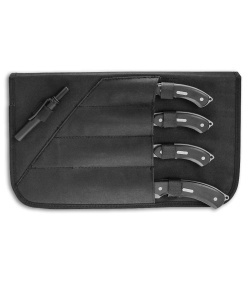 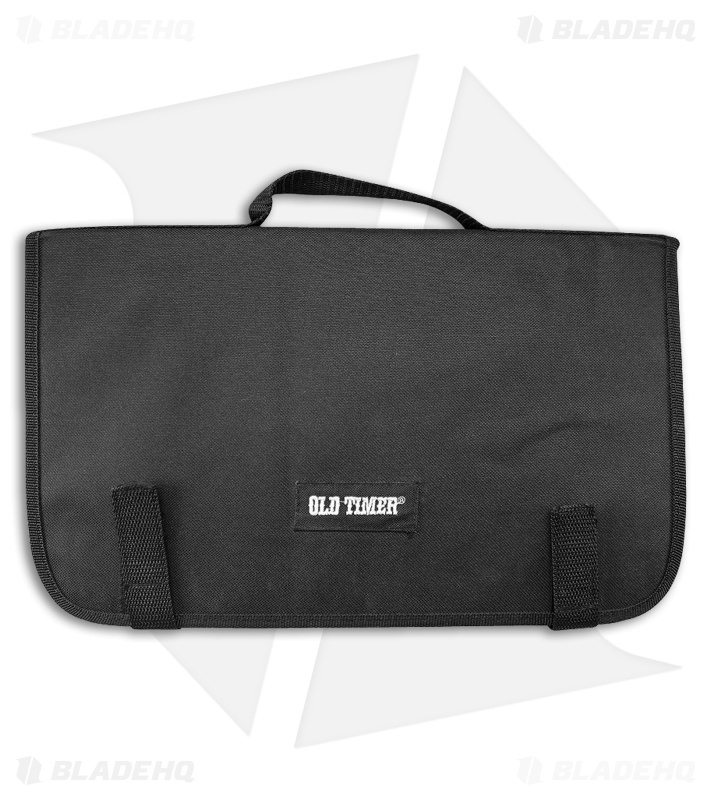 This set includes four essential blade styles for all of your hunting needs and a woven fabric case for easily carrying all five items.